Angels. A Seer. A secret struggle. Lucy McAllen was your typical snarky teen, until she got shipped off to boarding school in New York City. Now she's unraveling a centuries-old mystery hidden behind the scenes. And discovering powers she never knew she had. Lucy's parents want her to join the elite Nexis Society so she can get into Yale. Fortunately, the Nexis president offers Lucy a guaranteed spot in their ranks. But her parents didn't mention another secret society on campus, the Guardians. Their leader claims Nexis has a bigger agenda than mere Ivy League acceptance. Why are two Romeos battling for Lucy's heart and allegiance? Because she's having strange visions of a supernatural variety. Shadows. Prophetic scenes. Angels of pure light. Not your garden-variety daydreams. Maybe she's The Seer, with a gift both societies have waited 100 years to find. Can a girl who sees the supernatural stop one society's twisted plan? If you like intrigue, sass, and life or death choices, The Nexis Secret is for you. This coming of age novel blurs the lines of high school with angels and spiritual warfare. It's a fast-moving, visually-descriptive fantasy full of action, adventure, and romance that really makes you think. Making a splash in Clean Paranormal Romance, one reviewer called The Nexis Secret, "The best paranormal book of 2015." Buy it today for your chance to enter the secret world of The Nexis Society. 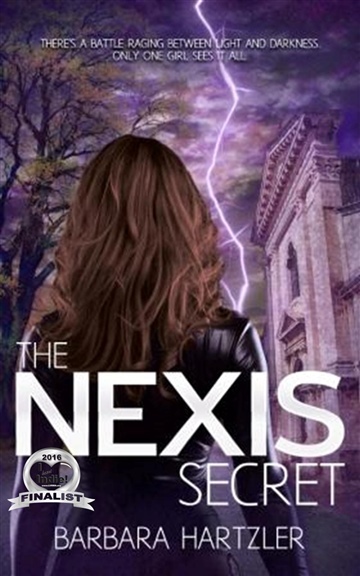 Barbara Hartzler is the debut author of The Nexis Secret, the story of The Seer—a.k.a. one girl with a gift to see the unseen world of angels. Not to mention the two secret societies vying for her allegiance. The Nexis Secret is inspired by Barbara’s college experiences and peppered with anecdotes from her teen missions trip to New York City. She’s always wanted to write, not necessarily about angels, but the idea was too good to pass up. As a former barista and graphic designer, she loves all things sparkly and purple and is always jonesing for a good cup of joe. Grab a cup of coffee and peruse her website at www.barbarahartzler.com. You can read her insightful blog or explore all the behind-the-scenes extras in The Seer's Vault.